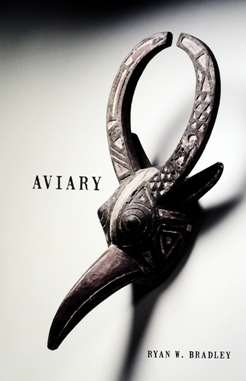 Ryan W. Bradley - "Aviary"
Ryan W. Bradley has pumped gas, changed oil, painted houses, swept the floor of a mechanic’s shop, worked on a construction crew in the Arctic Circle, fronted a punk band, and managed an independent children’s bookstore. He now designs book covers. He received his MFA from Pacific University and has been published widely online and in print. He is the author of four chapbooks, a story collection Prize Winners; a novel, Code for Failure; and two poetry collections, Mile Zero and The Waiting Tide. He also collaborated with David Tomaloff on the poetry collection, You Are Jaguar. His novella, Winterswim is forthcoming in late 2014.